Local Service You Can Rely On! 203 HVAC has set out to provide homeowners in Stratford, Bridgeport, Fairfield, and all of Fairfield County the highest quality service for your home. We understand you want nothing but the best for your home, and because of this, our objective is to provide you with nothing less. Whether you are in need of a new air conditioning system in the the middle of the summer, your furnace repair during the winter, or basic routine HVAC maintenance, we are here to help. When it comes to getting the highest quality heating and cooling services, 203 HVAC is here for you. Get a quote today! When the warm weather comes, we all rely on our air conditioning systems to help keep our homes cool and comfortable all summer long. When issues arise and you’re unable to keep your home cool, we are there to help with all of your air conditioning repair needs. 203 HVAC provides homeowners with air conditioning repair, replacement, and maintenance services they can rely on. No matter if your home has a central, ductless, other type of air conditioning system, you need service you can rely on to keep you cool all summer long. Our experts have the experience to handle your home’s air conditioning repair, replacement, and maintenance needs. If your outdated cooling system is in need of replacement, we work with the top brands to help provide you with the most efficient and reliable air conditioning systems available. If your cooling system is not running the way it should, don’t sweat it because we will help you get any cooling system repair fast! Contact us today to get a fast air conditioning service quote! In CT, being able to heat your home all the winter is essential for optimal comfort. When you are unable to do so you want it to be repaired NOW. Our heating system repair specialists have the heating systems experience to fix any home heating problem you may be facing. 203 HVAC provides reliable heating services throughout Stratford, Bridgeport, Fairfield, and the surrounding area. 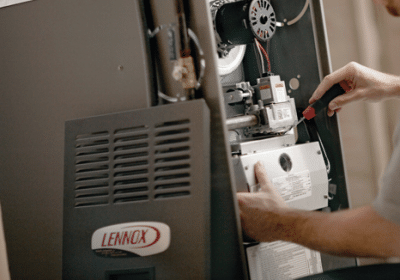 Whether you need repairs for your gas or oil furnace, or are looking for a new heating system replacement and installation, you can trust that the job will be done right the first time. We work on and install all types of heating systems to help improve the performance, efficiency and reliability of your old unit. To learn more about the heating services, call us today at (203) 601-7752 for a free furnace repair quote! Routine HVAC maintenance helps keep your home’s heating and air conditioning systems up and running in every season. By keeping on top of HVAC maintenance, helps all systems maintain a longer, more efficiently lifespan. Proper heating and air conditioning maintenance help improve system efficiencies and uncover any deficiencies before they become a much more expensive repair. With scheduled maintenance, your heating and air conditioning systems will require fewer repairs over time, and will help you save money long term. When professional maintenance is done, you will have a greater peace of mind knowing that your home’s heating and cooling systems will work when you need them to. It is best to have your heating and cooling systems serviced in the spring to prepare for summer, and again in the fall to get you prepared for winter.If you are looking for heating and cooling system maintenance, contact us today for a quote! Is your water heater suddenly not making enough hot water or none at all? This is the first sign that your home’s water heater is either on its way out, or is already in need of replacement. Did you know that the average life span of most water heaters is about 10 years? Based on this, it is best to replace your water heater based on this interval. While routine water heater maintenance can help prolong it’s life, most water heaters won’t get past 12 years. We rely heavily on hot water heaters being able to meet our daily needs, and when they don’t, they need to be fixed right away. Most common water heater replacement signs include leaks, rusty water, failure to work all the time. With new water heaters being more efficient, not only will you regain your clean, hot water, but have a unit that will pay for itself over its life cycle. So whether you are looking for an on demand tankless water heater or your standard gas or electric, 203 HVAC can help! QUALITY SERVICE YOU CAN RELY ON.